Tonight I was searching for something else and ran across an interesting series of old pictures. When I saw the pictures I thought of my Old-Time Photography series, so here is the first new post in the series in over two years. 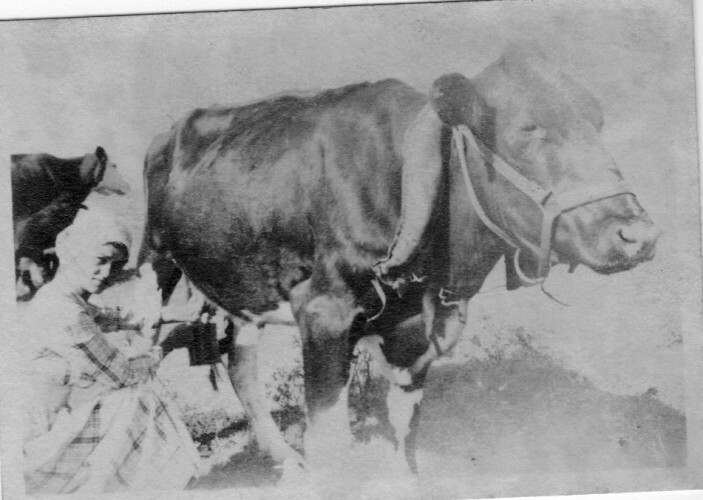 The pictures are from the 1920’s and this one is labeled on the back as Ma’s Cow. Here you can see Ma milking the cow. The handwriting on the back of this picture is a bit hard to decipher, but it looks like it says Bone and Walter. I assume that the little boy’s name is Walter and the name of the horse is Bone. The horse definitely looks like a field horse. 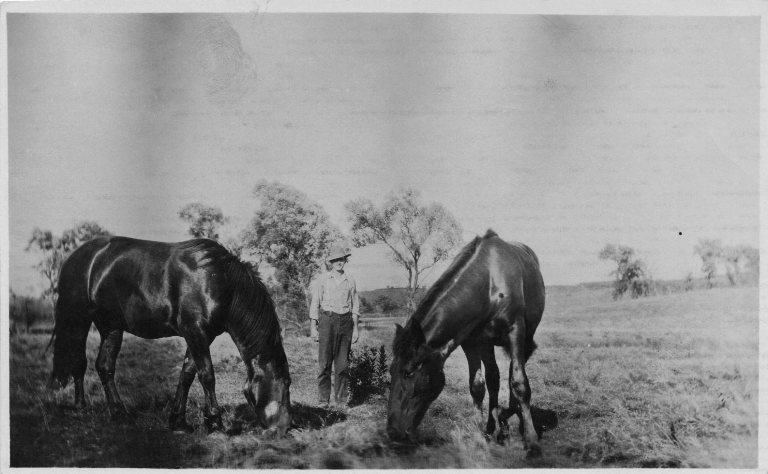 In this picture my Great Grandfather Charles Shafer Van Duzor is with his two horses Star and Minnie. I really like this old picture of a horse and buggy. 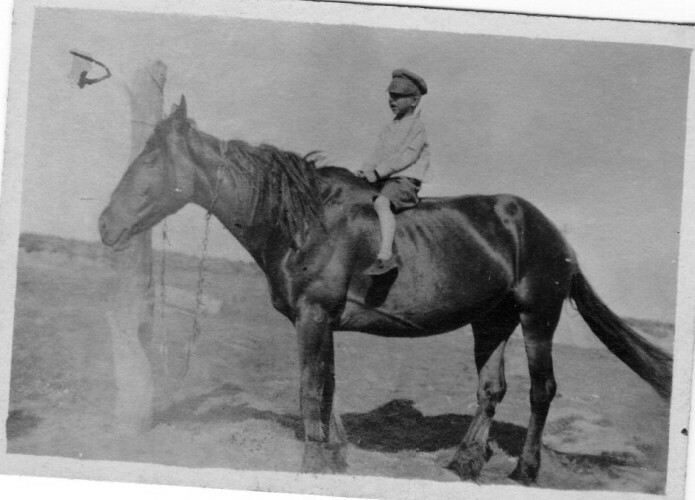 This picture is also of my Great Grandfather. He was known as Chub and this is what is written on the back of the picture. He is with some of my Grandma’s cousins in this picture. They look like maybe they had been having a family outing. Perhaps a picnic. You can find more of my Old-Time Photography posts by clicking on the link in this sentence. Which of these pictures are the most interesting? 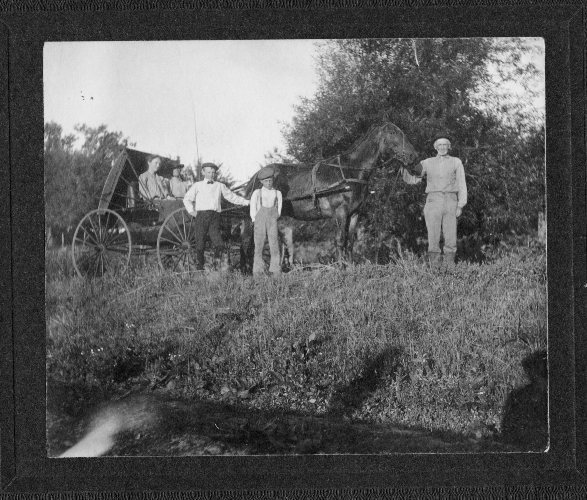 This entry was posted in Animals, Culture, Family History, History, Memories and tagged buggy, cows, Horses, Iowa, Old-time Photography. Bookmark the permalink. I think the last one is most interesting! For whatever reason I like Bone and Walter. It was fun looking over these old pictures.